Our contemporary hotel in Lubbock, TX offers a great location to the nearby shopping of the South Plains Mall, the largest one story non-outlet mall in Texas. We are located off Texas Loop 289 in south Lubbock and a 10 minute drive to United Spirit Arena & Texas Tech University. The Lubbock hotel also offers a close location to businesses like Grace Medical Center and Suddenlink Lubbock. Enjoy the fun attractions and events of Buddy Holly Center, Cactus Theater, Lubbock Civic Center & Jones AT&T Stadium all within minutes of the hotel. 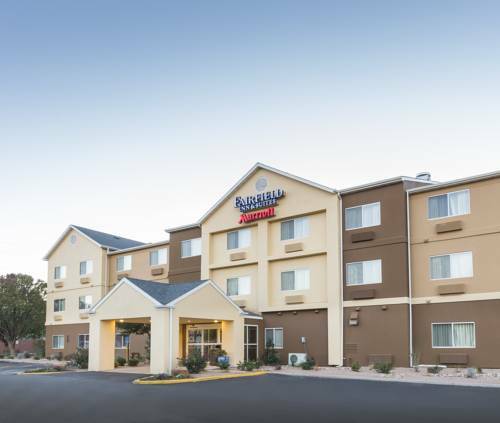 The Fairfield Inn & Suites Lubbock offers many complimentary amenities including free Wi-Fi and free breakfast daily. Area eating options that are walking distance from the hotel include: Jason's Deli, Outback Steakhouse & Cheddar's Casual Cafe. At the Fairfield Inn & Suites Lubbock, you're our #1 priority. We promise you'll be satisfied, or we'll make it right. That's our commitment to you. Ask us about The Fairfield 100% Guarantee.